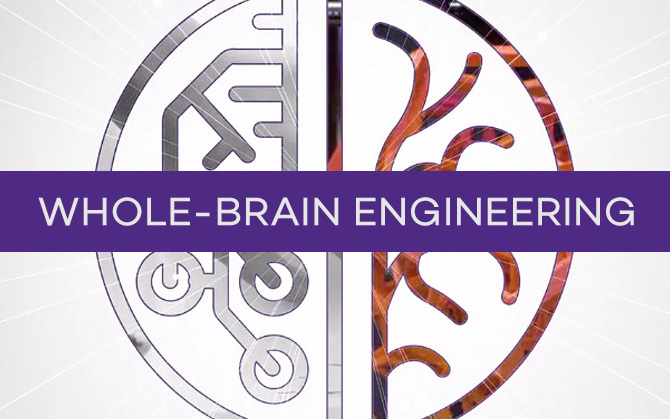 The Department of Chemical and Biological Engineering in the McCormick School of Engineering and Applied Science at Northwestern University prepares the next generation of chemical engineering experts in a multidisciplinary and collegial culture that fosters the personal and intellectual growth of its community of student, staff, and faculty leaders. We impact and shape the profession by tackling compelling and complex problems that require a mastery of the fundamentals of physical, chemical, biological, and mathematical sciences. By integrating fundamental science with technology development, we conceive of ideas without boundaries, foster entrepreneurship, and generate new insights into—and transformative solutions for—the pressing challenges in energy, materials, sustainability, complex systems, global health, synthetic biology, and biotechnology.